Kelleys Island, the largest of the Lake Erie islands, is located just off the north central Ohio coastline, accessible by frequent ferries and small airplanes. The island is a summertime favorite. 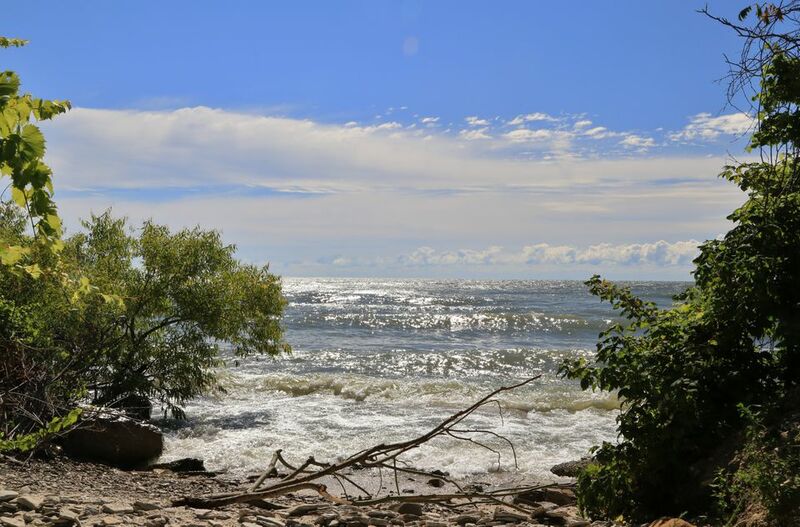 Less crowded than its cousin, Middle Bass Island and Put-in-Bay, Kelleys is known for its restaurants, winery, Victorian Houses, and its Glacial Grooves, remnants from the Ice Age. Kelleys Island was once covered completely by glaciers. As these ice sheets receded, they carved the island's "Glacial Grooves." The island was also home to the Erie tribes and examples of their art are carved into boulders on Kelleys. In the 19th century, Kelleys was filled with limestone quarries and became the leading producer of limestone and lime products in the world. The businessmen of the era built grand Victorian homes on the island, many of which still stay. Tourism began to develop on the island in the mid-1950s. Kelleys Island Ferry Boat Line operates year-round ferry service from Marblehead to Kelleys Island. Ferries depart Marblehead, weather permitting, each hour in the winter and each half hour between Memorial Day and Labor Day. During the summer, the Goodtime I Lake cruise ship makes daily runs from Sandusky to Kelleys and Put-in-Bay. There are also several marinas on the island for docking your own boat and a private airfield. Explore the Glacial Grooves: the largest accessible such grooves in the world, these were carved in the native limestone by receding glaciers over 18,000 years ago. Take part in an active sport: Kelleys is known for its kayaking, scuba diving among the several area shipwrecks, hiking, and cycling. Check out Caddy Shack Square: Home to a mini-golf course, ice cream parlor, bike rentals, and shopping. Island House: The island's fine dining restaurant, they feature the freshest ingredients, including Ohio grown produce and fish, when available. Bag the Moon: a family eatery with live weekend entertainment and nightly specials. Kelleys Island Wine Co.: More than a winery, they have a deli, bistro, wine bar, and picnic table to enjoy your purchases on the front lawn. Staying on Kelleys Island allows you to enjoy the relaxed atmosphere for more than just the day. Plan early, however, as accommodations sell out early. Bed and Breakfasts: Kelleys has over a dozen charming bed and breakfast inns, many housed in restored Victorian homes and many with Lake views. Cottages and Cabins: the most popular type of accommodation on Kelleys, private cabins sleep from two to over 10 persons. Condos: Unlike Put-in-Bay, Kelleys Island has a number of condo development and many owners rent their units when they aren't able to use them. Kelleys Island State Park offers 129 shaded campsites, which are available on a first-come, first serve basis. The park also offers several pet campsites, yurts, and a few sites with electrical hook-ups. There are several shower houses. What Happened to Geauga Lake, Six Flags Ohio, and SeaWorld Ohio?